Rex Quondom Rexque Futurus – Kingship in Fate/Zero – Everything is Oll Korrect! There are a few things that capture my interest every time they’re brought up. One is Fate/Zero, and another is monarchy. Unsurprisingly, then, one of my favourite episodes in Fate/Zero is episode eleven, “Discussing the Grail,” where the three kings, Gilgamesh, Iskander (Alexander the Great), and Saber (Arturia/Arthur), discuss over wine which among them is the greatest king and thus most deserving of the Holy Grail. I like the episode partly because of the characterisation it offers, as well as the action near the end, but also because popular culture rarely offers a lengthy discussion of kingship. It’s like fanservice for me, and though I’m probably about to give this more thought than the show’s writers – I believe Urobuchi admitted to not doing much research into these characters beyond the generalities of their stories – no self-respecting literature major can resist some overanalysis. Now, if we measure kingliness by self-confidence, Gilgamesh is our clear winner. His claim is the simplest of these three; he is the most senior and most powerful of heroes, therefore the world and all its treasures rightfully belong to him. I suppose Aristotle did say in the Politics that the most virtuous man in a polity does have a right to kingship, but few would consider Gilgamesh the most virtuous man here, outside of the “might makes right” types. There is something to be said for seniority, but since he doesn’t really say much this episode I’ll move on. The central conflict, in any case, comes between Iskander and Saber, namely, does a king live for his people, or do the people live for their king? Saber’s answer comes as no surprise for a king associated with the Christian Middle Ages. After all, a Christian monarch should (ideally) model himself after Christ the King, who is both the Lord of Lords and the Suffering Servant. As Christ is a nation’s spiritual Saviour, the king should be their earthly saviour, and indeed Saber wishes specifically for her people’s salvation. 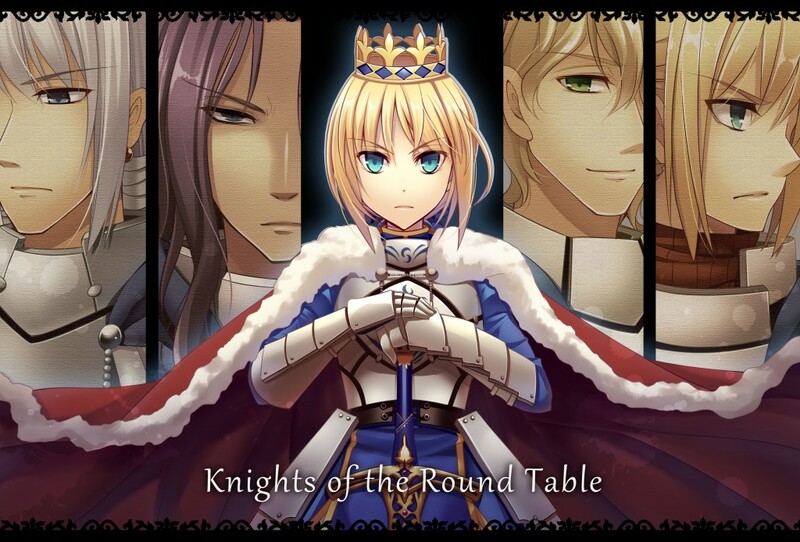 The king, according to Saber, has no life of his own, but does everything for the sake of his subjects. All very noble and more than a little romantic. However, Iskander objects that no man could possibly bear such a burden. Though such a king may rule over his people, he would not be leading them. Instead, he asserts that the people live for their king. What’s interesting, though, is that Iskander is no mere despot. The people live for their king, yes, but he becomes an embodiment of what’s best in the people, an inspiration for them as he lives life to its fullest. A king, he says, “laughs the loudest and rages the longest.” Again, Aristotle granted that the greatest and most virtuous man may rule, though such a worthy man is so rare he concluded that simple monarchy may not be practical for most nations. Iskander, though, reverses this – because a man is king, he should make himelf that much superior to other men. The idea is almost Confucian; if the sovereign is virtuous, the people cannot help but imitate him. Iskander’s idea seemed to work, too, given the numbers and intense loyalty of his followers. Though both his and Saber’s kingdoms ultimately collapsed, Iskander seems to have lived a happier life, and in return was better loved by his followers. One could, perhaps, say that their visions aren’t ultimately so far apart, as even Iskander’s view uplifts his subjects. Saber’s kingship, then, isn’t wrong so much as incomplete, as she begins to realise from here on in the series. Especially after encountering Lancelot, she understands that she was so occupied with her ideals that she failed to understand even her closest followers. Even so, I can’t help but prefer the higher nobility of Saber’s ideals, and few things are more romantic than a lost cause. Quite an interesting read. I’ll be marking this blog in my RSS reader. I agree with you that Iskandar’s way of living was likely the best for his “people” (more like army to be honest). Having a powerful king driving his people around often result in history to having more “proud” population. Now that you mention it, Iskander was more of a general than a king, wasn’t he? As for Saber, I’m playing through the Fate/Stay Night visual novel now, and I’m hoping it gives some more backstory for her. I’ve assumed her ideas are basically Medieval, which is why I gave an explicitly Christian explanation of her argument. That seems to be accurate at first glance, but neither Fate/Zero nor the F/SN anime go real deeply into her past. So, the assumption of a Medieval worldview remains a semi-educated guess rather than a fact from canonical sources. The Fate Stay Night novel does give a lot more depth to her story just as the story of each character. Not sure if its comparable with the Fate Zero novel though as I’ve not read it. Note: I haven’t read the Fate/Zero novel, but did read the visual novel Fate Stay Night and some extra material.